The ascent to the top of the ridge from a transition in rock-layer appearance at the bottom of it will gain about 213 feet (65 meters) of elevation—about 20 stories. The climb requires a series of drives totaling a little more than a third of a mile (570 meters). 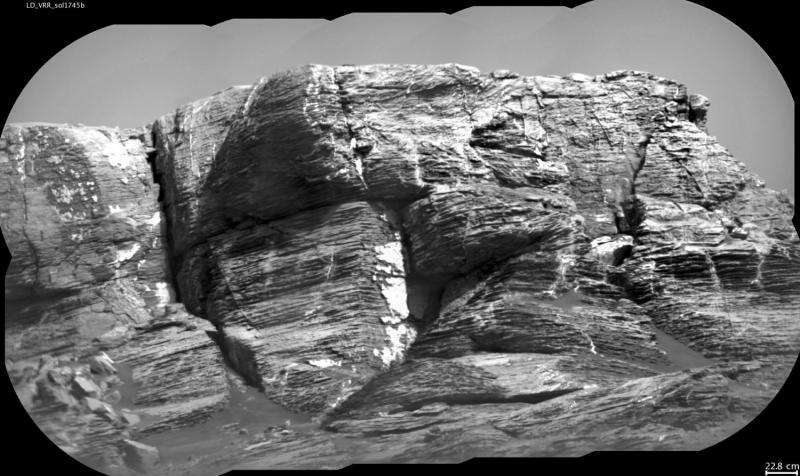 Before starting this ascent in early September, Curiosity had gained a total of about 980 feet (about 300 meters) in elevation in drives totaling 10.76 miles (17.32 kilometers) from its landing site to the base of the ridge.